—Thomas W. Krise in UOG press release. 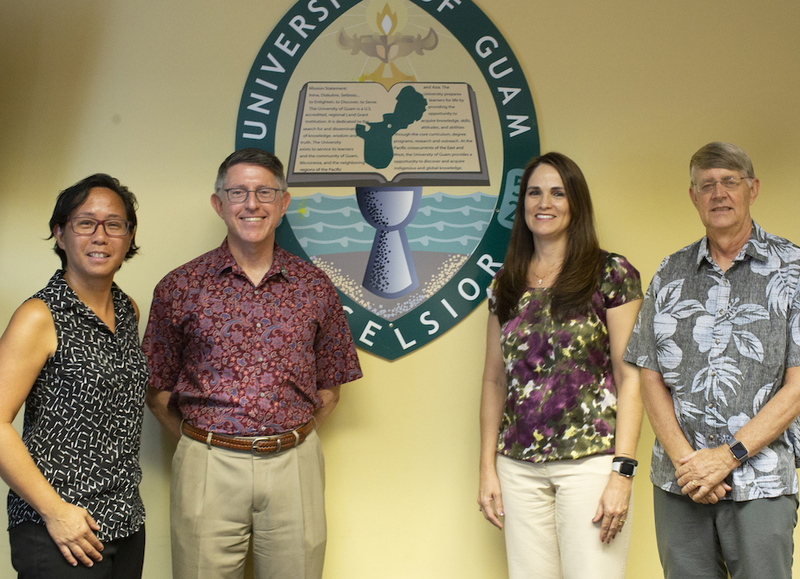 (From left) Cheryl R. Sangueza, assistant professor of secondary education at UOG, who will jointly lead research efforts for a segment of the newly awarded IOA-LSAMP grant; Thomas W. Krise, president of UOG and co-principal investigator for the grant; Rachael Leon Guerrero, interim director of Research and Sponsored Programs at UOG and member of the grant’s governing board; and Ross Miller, a professor of entomology at UOG who will serve as the LSAMP campus coordinator. 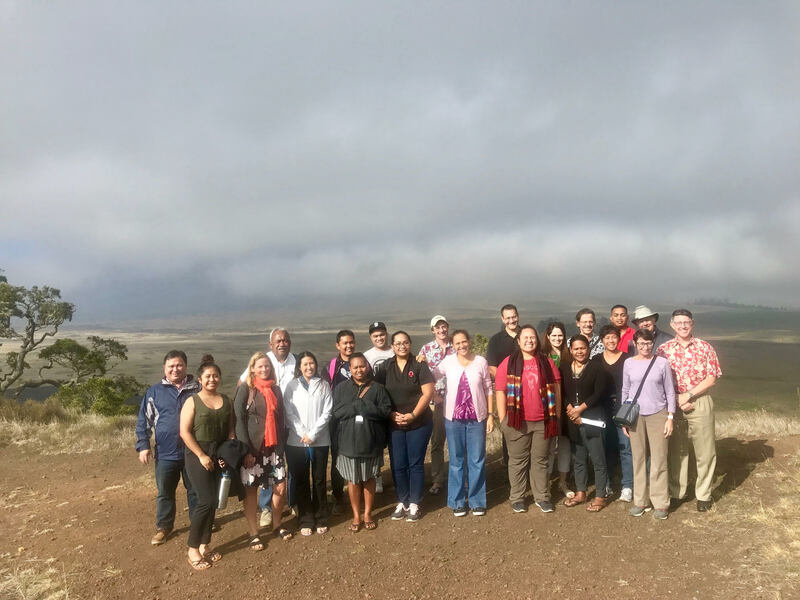 January 10-11, 2019, marked the grand kickoff event for IOA-LSAMP, which was held at the University of Hawai‘i, Hilo to officially begin the new award cycle (Sept. 1, 2018-Aug. 31, 2023). The event was attended by all 11 site coordinators, PIs, and other affiliated members of the Islands of Opportunity Alliance and entailed long and fruitful discussions about how to implement the exciting and innovative initiatives outlined in the proposal. The kickoff began with a stirring and centering kīpaepae (opening ceremony) and ended with a reflective ʻawa ceremony. Below are just a few memorable images that capture the spirit of the event. 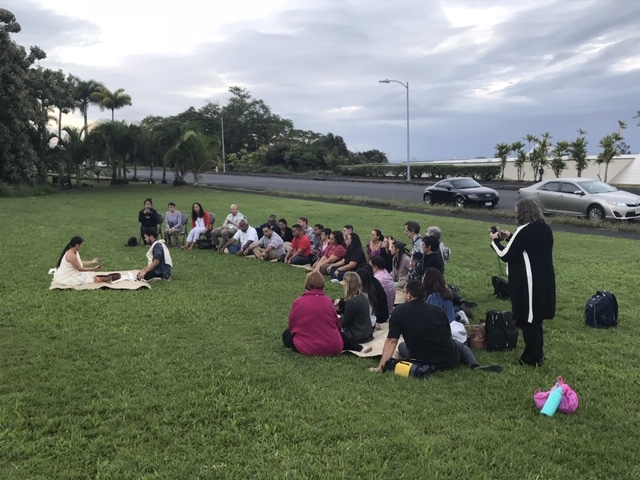 Kīpaepae ceremony celebrating the opening of the IOA-LSAMP Kickoff at UH Hilo, 2019. ʻAwa ceremony led by Keaholoa Coordinator Dr. Dana-Lynn Ko‘omoa-Lange. Huaka‘i (excursion) at Puʻu Huluhulu.